Comfortable cottage accommodation in the village of Birnam, just a short walk from the beautiful village of Dunkeld. All the amenities are close at hand, including shops, restaurants, pubs and the Birnam Arts Centre. Sleeps 5 Some lovely reviews from Customers: "Perfect location. 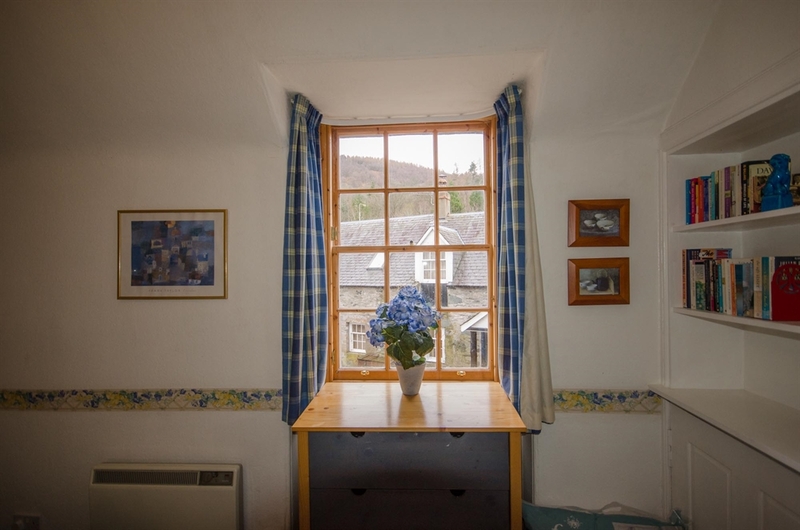 The cottage is set in a very pretty courtyard, with nice views of the clock tower and turrets of picturesque Birnam." 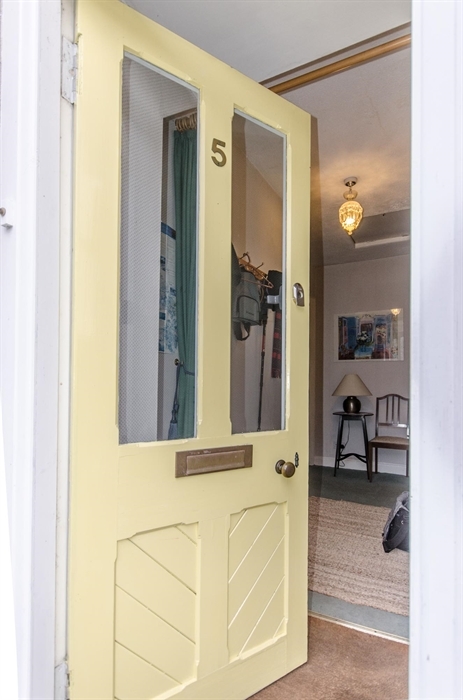 "I'm delighted to report that Couthie Cottage was clean, welcoming and well-appointed. We would certainly recommend it and would be very happy to come back." "Perfect place for a stay in the area. Great little touches like tea, coffee, milk and sweets. Great book collection." Set in the village of Birnam, just outside the ancient Cathedral city of Dunkeld, this comfortable cottage is the perfect getaway for all the family. The landscape surrounding the village is breathtaking, with pine forests and a dramatic hill and mountain skyline it’s the perfect backdrop for a holiday away from the bustle of city life. There is plenty to do in Birnam and Dunkeld (just a short walk across the river and you’re there) with bars and restaurants aplenty as well as the Cathedral itself. There is also the Birnam Arts Centre with its Beatrix Potter garden just a 2 minute walk from the cottage. There are also plenty of books, DVDs and games for those of us who enjoy just curling up in front of the fire with family. There are 3 bedrooms in the cottage, 2 doubles and one single, sleeping 5 people in comfort. There is a cosy sitting and dining room with a gas fire, and a well-equipped kitchen. Electricity, linen, towels and WiFi are included in the rental. A travel cot and highchair are also available however guests should bring their own bedding for the cot. Pets are allowed, however we do charge an additional £15 to cover extra cleaning costs. Short breaks area available.